Home / Nintendo / pc / playstation / reviews / steam / switch / videogames / xbox / Yoku's island adventure: The postmaster always spins twice! 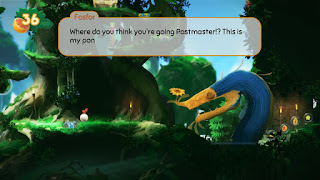 Yoku's island adventure: The postmaster always spins twice! 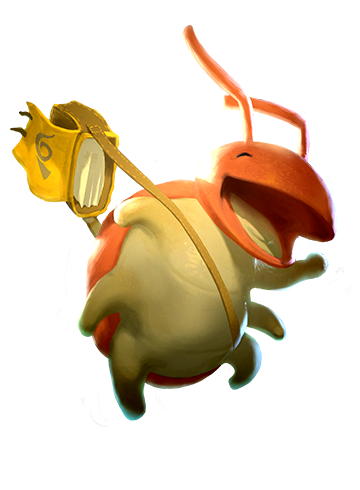 Yoku is ready to leave the hard working life of a dung beetle behind him. Taking up the job of postmaster on the tropical island Mokumana it is time to catch some sun, mingle with the locals and enjoy paradise, while delivering mail to the islands inhabitants. But as soon as Yoku arrives at his destination things do not seem as harmonious as the was led to believe. 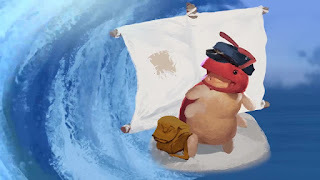 It seems that the island gets its life-force from a deity named Mokuma and some evil force has attacked causing the ancient island deity to be trapped in a restless slumber. Now it is up to Yoku to gather the island's most powerful inhabitants and figure out a way to heal the wounds of the islands guardian and restore balance. But it seems that whom or whatever has committed this horrible deed is still around hiding in the shadows, ready to strike again. Yoku will have to be on his guard and take on a bunch of extra work before he can take on the mantle of postmaster and start his new life. This is Yoku's Island Express. Yoku's island adventure is an platform adventure game with pinball mechanics where you traverse a single, large, open-world, solving puzzles along the way in order to progress. For the older gamer out there who had a Sega genesis/Megadrive might see some familiarity with Sonic Spinball, another game that used pinball mechanics combined with a platformer. Developer Villa Gorilla revisits the thrill of pinball mashed with the exploration of adventure platform games and builds on brings its own take on the genre with a unique character and a colorful game world. From the beginning you start the game it will let you choose how to progress through the game, thwarted only by those obstacles for which you need to aquire certain abilities first. As you move through the different areas of the island you will meet a cast of peculiar characters.Often they will have a task for you to help them with and it is up to you how and when you help. As you might expect it is often a good idea to go along with these quests as the rewards are well worth it and often help you progress through the game. Along the way you acquired acces to a variety of tools. When you start Yoku's island adventure you get control of the main character Yoku, a dung beetle with a happy disposition and giant ball to push around as you get started. You can move Yoku left to right , but there is no jump button and you quickly find out why. The island is littered with pinball bumpers ready to shoot you out with the tap of a button. The blue ones react to the left trigger ( if playing with controller) and the yellow bumpers react to the right one. Some have both blue and yellow and will work with either button as you prefer. It becomes quickly clear that not each bumper exerts the same amount of force as you move through the environment. Instead they seem optimized per area in order to force you to solve puzzles as intended. The puzzles consist out of pinball style rooms where you hit targets in order to unlock different gems and gates in order to unlock an area and progress further. Every so often you will end up fighting a boss level which will take longer and required more thought in order to solve. These boss fights also involve help from the locals creating a multi ball style mayhem. 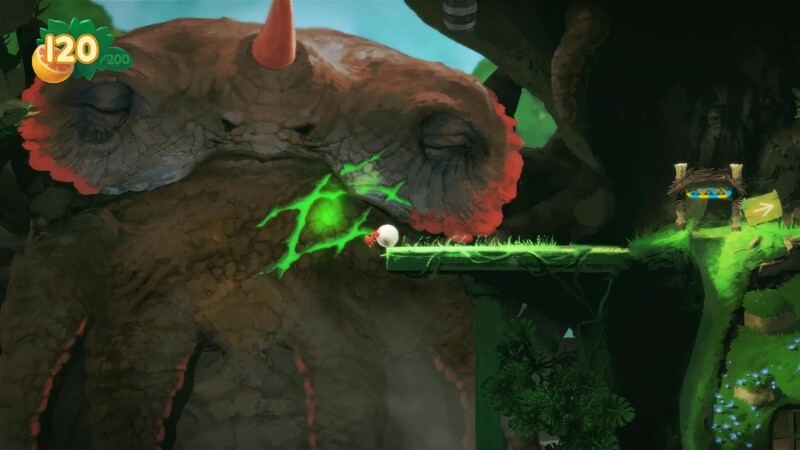 Once you start a game Yoku's island adventure has no further loading, the game makes a point of showing you its open design fairly early in the game when itshoots you through the different levels of the game world in a seamless and smooth motion. It is hard to not mention games such as Metroid and Castlevania mixed with pinball in order to describe what to expect from Yoku's island express. But that is probably the most apt description and a well deserved complement.Just as in Metrovania style games, your path is limited to the abilities you have. For seasoned gamers it is often clear to see what you are supposed to do, but you can't quite make it there. It is up to you find the right ability, such as explosive slugs ( yes I said explosive slugs), a noisemaker or something else. Or sometimes you will just have to go around the long way. This means there is quite some backtracking involved in the game. Due to the open nature of the map, you can choose your own way in clearing the map and progressing forward. If you get lost in what it is you were trying to do,a simple tap of a button will bring up your map view and throughout the game there are spyglasses that show you a glimpse of hidden parts of the surrounding area. You initial goal is to deliver letters to three important leaders on the island in order to gather them in the main village in an effort to heal the wounds of the islands deity.This means locating them and helping them with what ever task is keeping them from complying with your request. These are basically your boss levels and after solving one it often allows you to progress further through the game in areas previously lis present throughout the game and is used to unlock bumpers or zip-lines (bee-powered) that are used to quick travel around the island.If you happen to get stuck in thorns you will lose some of these fruits on your way through. With all the backtracking throughout the game , it can sometimes become very confusing what to do next. Where some hints are clear, others are to cryptic to be of much use. Especially after boss levels things can get a bit foggy.I have had a few times where I was about to give up because I was just not seeing the access to the next part . Lucky the pinball mechanic and the large amount of smaller hidden treasures are enough to keep you playing long enough until you all of a sudden just run into the right spot to allow you to continue. Still, a few more subtle hints or description would be welcome, especially for novice players who might otherwise never progress further. 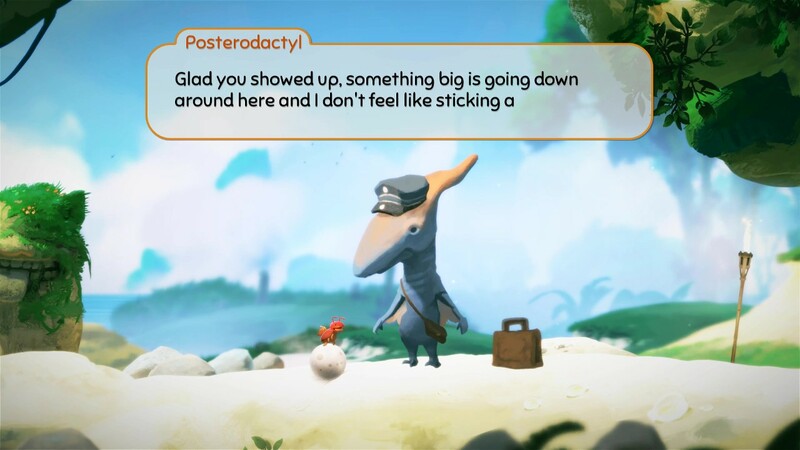 Yoku's island adventure has a distinct look to it. The game is fullnof color and layered with beautiful hand painted artwork painting a picture of a lush island. There are different weather effects and lighting throught the different parts of the islands ceeating a different feel and mood depending on where you are. The inclusion of dynamically changing music for each location on the island helps reinforce the theme of each location. There is no voice acting in the game, all conversations are text based with quirky sounds for the conversations you have with the creatures on the island.These conversations help you understand what is going on and they form the story as you move through the game. The story starts off light and cute, but also touches on some darker undertones that seem to contradict the games colorful design.It is an interesting direction that you might not expect when you see screens of the game, but none of it is offensive or too creepy for its target audience. The overall presentation of the game combines with the lack of load screens in an open world, with a choose your own path approach is presented in a smooth frame rate (60fps on PC) and results in a fun experience. The ESRB rating for Yoku's island adventure is E for Everyone 10+. This game is not offensive, light on story but still with a bit of sense gravitas without getting too scary. Though easy to pick up, it is pinball afterall all, It can be a difficult game at times as lining up the bumpers/flippers in order to hit the right lanes can be challenging and the game does not always hint much at what it even if that you are trying to do. That off course is in part due to its pinball roots. There is no coop but there is also no real death and there are plenty of save points in order to take breaks and you can quickly load back to last save point if you get stuck or mess up. It is a game that helps with puzzle solving and hand-eye coordination. Yoku's island adventure is a fun game that largely succeeds in it mission to blend the platform adventure and pinball genre in its own unique way. With a happy go lucky protagonist, unique NPC designs and challenging puzzles the game shows that thinking beyond standard gameplay can result in a great experiences. That said,at times the uneven balance of hints versus letting you figure out what to do next can be annoying. Getting help too soon at some times while at other times giving you no useful information whatsoever can be frustrating. It seems these issues are often caused because you chose a different path, causing missing information and adding confusion. But the relaxed gameplay with plenty of save points allows it to be a very easy pickup and play style game. The pinball mechanics work well for what it sets out to do, but has the pontential leave pinball purists disappointed as the physics do not feel equal throughout the game.Luckily there is no tilt option. At a reasonable entry price, the games offers a good value in regards to game length, but it lacks additional options and has no randomized areas, meaning that replay value might be average. There is a large amount of collectibles to find in the game extending the gameplay some for the completionists out there.Maybe a future DLC can add more areas to explore of free play. 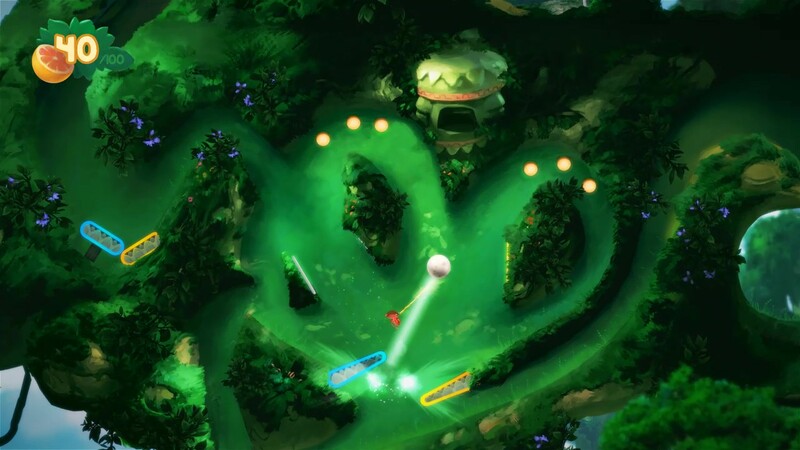 Yoku's island adventure is a fun pinball adventure that succeeds in bringing a new take on pinball as a platform game and dung beetles as protagonists, all in one in a fun colorful package. Even though I played the steam version of the game, this game seems a great choice for any system and I can't wait to try it on go with the Nintendo Switch.